Corboy & Demetrio is pleased to announce that six of its attorneys have been named to Best Lawyers in America, 2016 Edition in the areas of personal injury litigation, medical malpractice and commercial litigation. 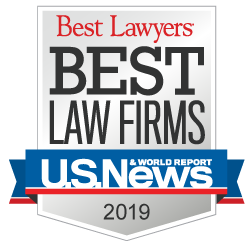 Thomas A. Demetrio, the firm’s Co-founder, was named to Best Lawyers in America in the categories of Medical Malpractice Law – Plaintiffs and Personal Injury Litigation – Plaintiffs. He has been on a Best Lawyers list for 30 consecutive years, since the awards’ inception. In 2011, Thomas earned the elite designation of Chicago Medical Malpractice Lawyer of the year by Best Lawyers in America. Corboy & Demetrio Partners Philip “Flip” Harnett Corboy, Jr. and Michael K. Demetrio were also selected in the category of Personal Injury Litigation – Plaintiffs. It is the ninth year in a row for Mike and the 11th consecutive year for Philip. Corboy & Demetrio Managing Partner Robert J. Bingle was selected for the second year in a row in the categories of Personal Injury Litigation – Plaintiffs and Commercial Litigation. Partner David “Chip” R. Barry, Jr. was selected to Best Lawyers in the area of Medical Malpractice – Plaintiffs for the fifth consecutive year. In 2014, he was selected Chicago Medical Malpractice Lawyer of the Year by Best Lawyers. Additionally, Corboy & Demetrio partner Rene A. Torrado, Jr. was selected to Best Lawyers in the category of Commercial Litigation for the 18th consecutive year. "Best Lawyers is the most effective tool in identifying critical legal expertise," said Best Lawyers CEO Steven Naifeh. "Inclusion on this list shows that an attorney is respected by his or her peers for professional success."